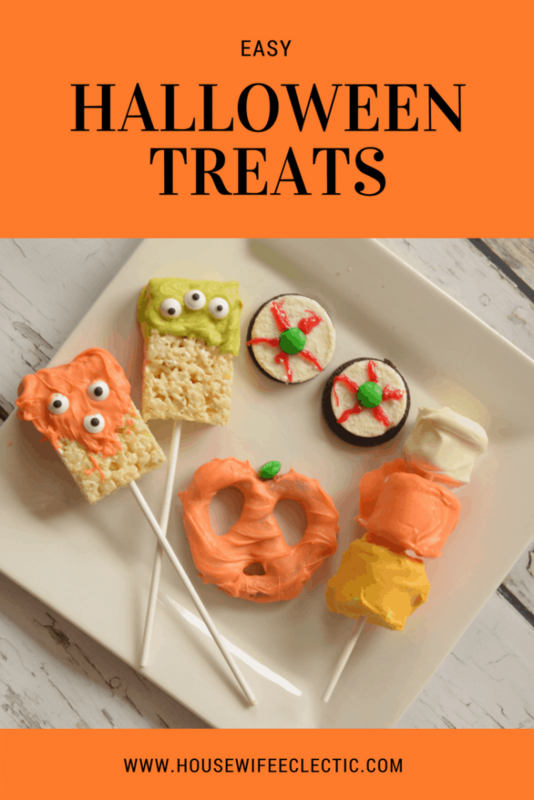 These Easy Halloween Treats are the perfect and fun snacks to create with your kids for Halloween. From Pretzels to Rice Kripsies there are fun flavors for everyone. All of these treats come together in minutes making them the perfect things to make together as a family. Place a handful of white melting chocolate in a microwave safe bowl and microwave for 1 minute. Stir the chocolate microwave in 30 second intervals stirring between each one until the chocolate is smooth. Place a marshmallow in the chocolate and roll it around until it is completely covered. Place it on a piece of parchment paper until the chocolate sets. Repeat with the orange and yellow chocolate. 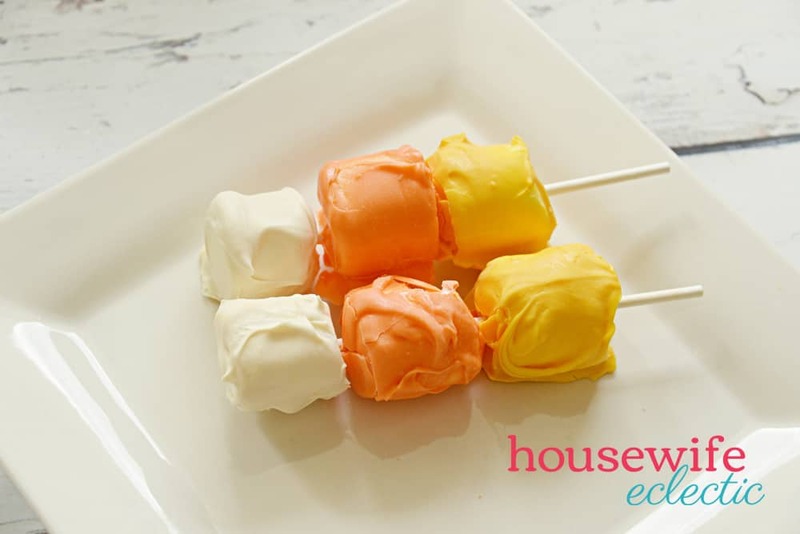 After the chocolate has set, push a sucker stick through a yellow, then an orange and then a white marshmallow. 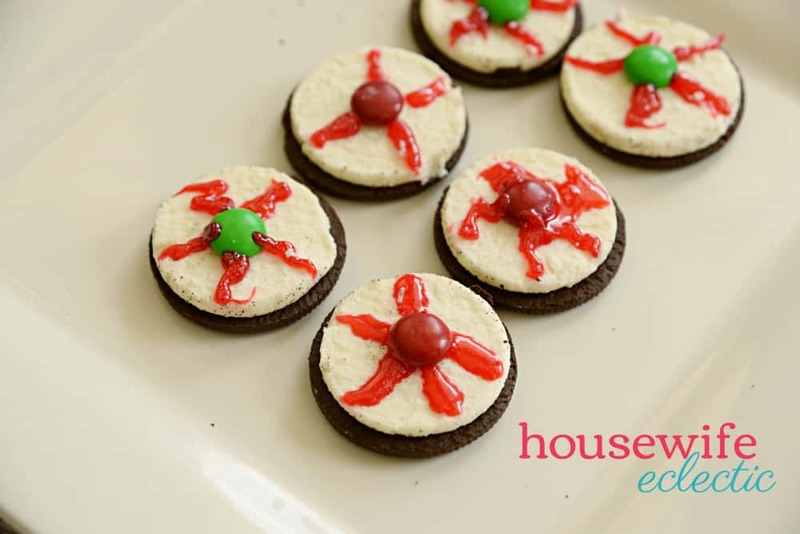 Twist apart the Oreos. Add a M&M to the side with the cream. Add red gel lines to cream. 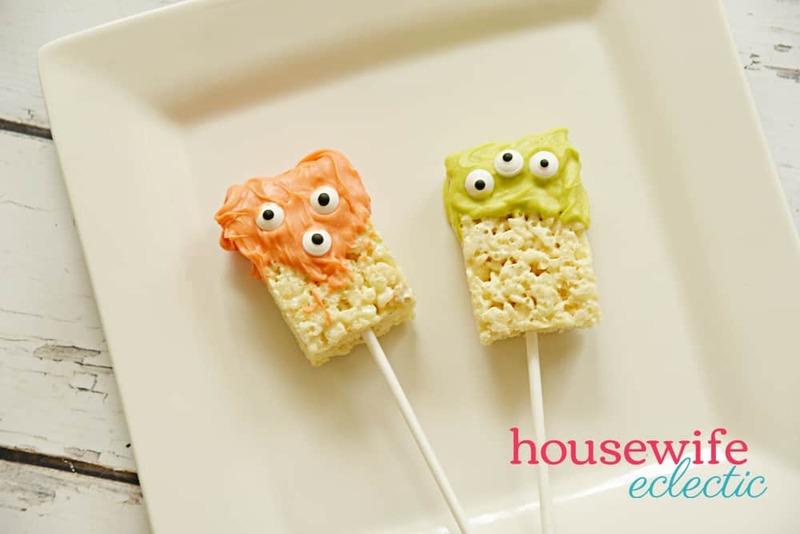 Unwrap Rice Krispies treats and push a sucker stick through the end of each one. Place a handful of orange melting chocolate in a microwave safe bowl and microwave for 1 minute. Stir the chocolate microwave in 30 second intervals stirring between each one until the chocolate is smooth. Put one end of the Rice Krispies in the chocolate and use a spoon to spread the chocolate on that end. Add candy eyes for a spooky look. Set the pops on a piece of parchment paper for the chocolate to set. Place a handful of orange melting chocolate in a microwave safe bowl and microwave for 1 minute. Stir the chocolate microwave in 30 second intervals stirring between each one until the chocolate is smooth. 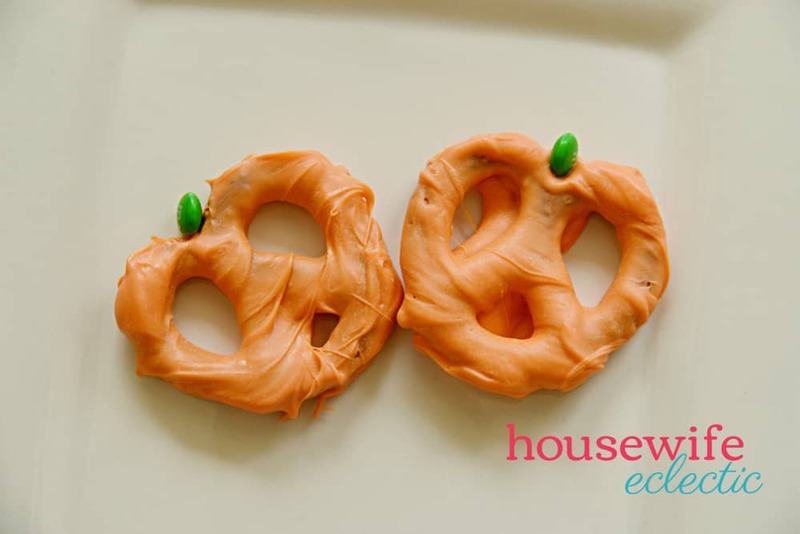 Place a large pretzels in the chocolate and use a spoon to spread the chocolate over the pretzel. Pull it out of the chocolate and place a M&M in the top center of it. Place it on a piece if parchment paper for the chocolate to set.